Begin a discussion about Singapore, and most likely the word hub enters the conversation. This small country is giving a full-force effort into earning a reputation for being the technical, financial services, and industrial center of the Asia–Pacific region. Its gross domestic product (GDP) per capita (~$57,200 in 2010) is comparable with most Western developed countries. Like South Korea, India, and China, Singapore aims to grow its market share in the biosimilars sector. The difference, however, says Pete Gagnon (CSO at Validated BioSystems and resident in Singapore) is that the country is “positioned to get there faster.” He credits its position in the biopharmaceutical industry to several factors, including a sophisticated infrastructure, a young and highly educated workforce, government support of several “incubator” facilities, financial incentives (e.g., Research Incentive Schemes for Companies, RISC; and Innovation Development Scheme, IDS), and tax incentives for manufacturing. Singapore and Malaysia have worked to attract international direct investment in their high-technology sectors since the 1970s. Singapore has developed and continues to develop complex telecommunications, financial services, and transportation networks (>100 airlines link it to more >200 cities in 60 countries) (1). Scientific American recently ranked countries according to several factors for their capacity to support biotechnology innovation. Singapore came in second behind the United States (score of 37). By comparison, other top final scores were for Canada (29); Sweden (28); Denmark, Finland, and Israel (27); France, Iceland, The Netherlands, and Switzerland (26); and Belgium, Ireland, the United Kingdom (25). SOURCE: FRIEDMAN Y. A GLOBAL BIOTECHNOLOGY SURVEY— WORLDVIEW SCORECARD. SCIENTIFIC AMERICAN WORLDVIEW 2011; WWW.SAWORLDVIEW.COM/WORLDVIEW-SCORECARD. 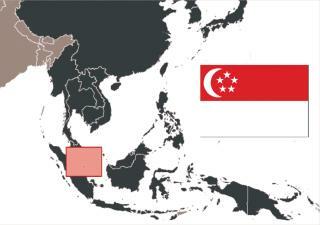 Singapore has a history of establishing biomedical “clusters” as important parts of its scientific network. 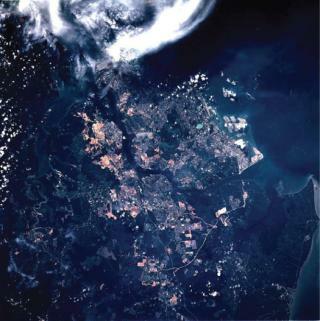 In 2001, JTC Corporation and the Singapore government launched the 200-hectare One-North research and science park. The goal is to boost the country’s innovation and R&D efforts and encourage scientific collaboration. Singapore had previously focused mainly on applied rather than basic scientific research. “Biopolis” is a biomedical R&D complex (completed in 2006) at the One-North site. Government agencies, research laboratories for neuroscience and immunology, and publicly funded research institutes are located at the complex. One such institute is Singapore’s Agency for Science, Technology, and Research (A*STAR), a leading organization of scientists who seek to drive and sustain scientific research through interdisciplinary collaborations. It also provides research and commercialization infrastructures as well as scholarship and training programs. A*STAR’s Biomedical Research Council (BMRC) aims to foster strength in molecular, cellular, and developmental biology; cancer genetics; stem cells and regenerative medicine; immunology and infectious disease; metabolic medicine; and biomedical engineering. BMRC research units have established various internationally competitive technological platforms to help advance scientific research. Core technological platforms include genomics and proteomics, structural biology, bioinformatics, bioimaging, and bioprocessing. Such establishments hope to attract and retain scientific talent as well. “We have got to give scientists their oxygen to do good research,” said Lim Chuan Poh (A*STAR chairman) in a Straits Times interview. “That’s why they find the environment here very conducive. They can focus their minds and do wonderful research” (3). Whereas intellectual property (IP) concerns are prevalent in much of the Asia–Pacific region, one report ranks Singapore first in the world in terms of IP protection (4). “In Singapore the culture sees the job as a lifelong commitment. So when you get employees, you can expect that they’ll stay with you for the long haul. This means its very worthwhile to spend resources to develop them,” says Gagnon. Learning about the culture is beneficial as well. “The culture here is also very open, probably owing to it being a cultural crossroads to begin with, which makes it very tolerant of visitors, for example from foreign biotechs. For a point of entry, it would be hard to beat,” says Gagnon. Although one of Singapore’s official languages is English, most residents speak Chinese. However, “Anywhere you go there will be people who understand it adequately for you to do whatever needs doing without difficulty,” he says. English is also spoken fluently in the biotechnology communities. “In my view, this puts Singapore way ahead of the pack,” says Gagnon. Lonza Biologics Tuas is located in Tuas Biomedical Park, a joint venture between Lonza and EDB’s biomedical sciences investment management unit Bio*One Capital. This biopharmaceutical production facility (at a cost of US$300 million) will be one of Singapore’s largest commercial large-scale mammalian biologics manufacturing facilities. “The design of the facility is based primarily upon that already built in Portsmouth, NH (USA), but assignments to any of the three overseas facilities as part of the STRAT program will be directly relevant to roles in Singapore,” according to Lonza. The facility includes up to four mammalian bioreactor trains, each with a capacity between 1,000 and 20,000 L and downstream purification capabilties. In January 2010, Roche announced it would enter into a strategic alliance with Singapore’s scientific and medical institutions to set up the Roche-Singapore Hub for Translational Medicine. The $130.7-million research hub will focus on disease biology to develop personalized treatment approaches. “The powerful combination of intellectual and technological capabilities together with outstanding government commitment at the heart of this collaboration will provide a unique opportunity to drive personalized healthcare,” said Jean-Jacques Garaud, Global Head, Roche Pharma Research and Early Development. In October 2010, Agilent Technologies Inc. opened its new life sciences instruments manufacturing facility in Singapore. The facility will produce the company’s liquid chromatography–mass spectrometry (LC–MS) instruments for the global market. “The opening of the LC/MS manufacturing facility marks a milestone in Agilent’s continued investment in Singapore, which began in 1970,” said Bill Sullivan, Agilent president and CEO. Also in October 2010, the Biomedical Sciences (BMS) Executive Committee announced that the government would be investing S$3.7 billion in biomedical sciences research during 2011–2015. That represents a 12% increase over the government’s investment during 2006– 2010. The committee pointed out that R&D remains a priority in Singapore’s long-term strategy to boost its economic competitiveness, achieve sustained growth, and establish the country as Asia’s Innovation Capital. The investment is part of the Research, Innovation, and Enterprise 2015 (RIE2015) fund of S$16.1 billion committed to R&D for the next five years. A*STAR’s Biomedical Sciences Executive Committee announced that the Singapore government will invest S$3.7 billion for biomedical research during 2011–2015. This value represents a 12% increase over 2006–2010. Facing patent expirations and increased pressure from generics, Eli Lilly closes its Singapore Center for Drug Discovery in December 2010. The center was a joint collaboration with Singapore’s Economic Development Board. The company keeps open its Phase 1 clinical unit, marketing, and sales offices in Singapore. Maribel Rios is managing editor of BioProcess International; mrios@bioprocessint.com. 1.) Monroe, T. 2006. The National Innovations Systems of Singapore and Malaysia. 2.) Lim Hng Kiang at the Official Opening of ProcessCEMAsia 2010 2010.. 3.) Chan, R. 2009.S’pore Flexes Its Muscles in Science and Technology Straits Times. 4.) 2010. The Global Competitiveness Report 2010–2011, World Economic Forum.